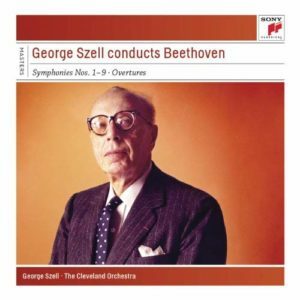 The Szell Beethoven Box Set with the Cleveland Orchestra is currently out of print on CD, but 4 individual CD’s are still part of the Sony Essential Classics series, and well worth getting. Symphonies 4 & 7 are only available from ArchivMusic through their ArchivCD program at full price, the other sets are 1 & 6, 2 & 5, 3 & 8 and Symph 9 with Fidelio Overture. These are also available as MP3 albums, so should stay around for a while. 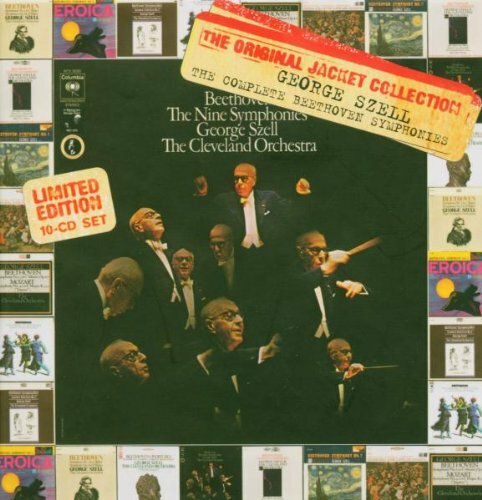 There is an Original Jacket Collection of all the symphonies and overtures, out of print on CD but available on iTunes as a download, a bit expensive, but you get a lot of music with 66 tracks. These recordings should really be put back in a nice box set domestically and kept in print. Sony has been releasing bargain sets that duplicate the Original Jacket Collections sets, so here is hoping that these make the cut. The recorded sound is good for the age, Szell has a clean and sharp view of these works.